Father Camillo Ripamonti, director of the historical reception center run by the Jesuits, speaks to AsiaNews about the situation of refugees and the prospects that the Church and society can offer. A welcome "is important but not enough. Integration is the key word, and the bureaucracy is not helping". Pope Francis’ appeal to parishes "takes time and planning, but it can change things." However, "it will be useless if we do not act on the causes of migration, primarily on the conflicts in the Middle East." Rome (AsiaNews) - Italy is a welcoming nation, but to really respond to the tragedy of the refugees and migrants, “we need a true integration and a definitive resolution to ongoing conflicts. These are the cause of the flow of human beings that often turns into tragedy. But the appeals of Pope Francis shake consciences and give positive impulses. We have to turn them into reality", Fr. Camillo Ripamonti, Jesuit priest and director of the Center Astalli Rome tells AsiaNews. The historic hostel in the heart of Rome, is a sort of "front line" of the Church. It is divided into various sectors spread out across the territory, it provides food, medical care, health and sanitation services, bureaucratic assistance to those anyone who need it, even illegal migrants. But it does not stop there: the Center seeks to promote the integration and autonomy of migrants through several steps of concrete integration into society. 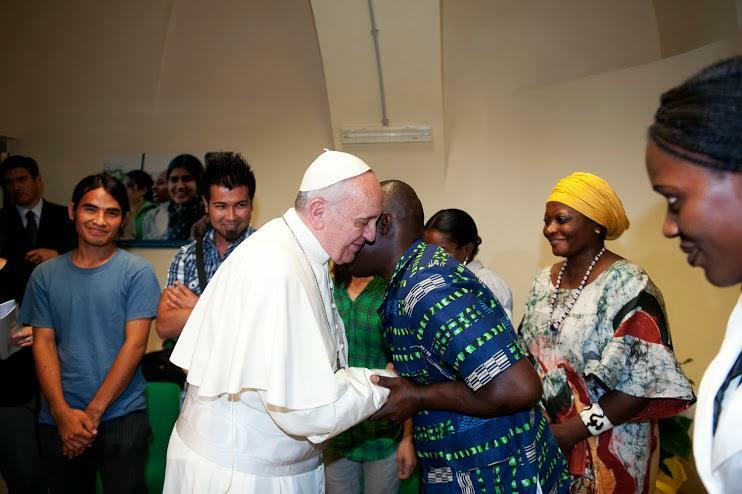 According to F. Ripamonti Pope Francis’ appeal to welcome migrants - addressed to parishes all over Italy "starting with my diocese of Rome" - "can turn into reality. It requires a little organization and planning, but if implemented then it is something that can change things in a profound way. Not quickly, unfortunately, but this change is possible. The initial accommodation of migrants who have just landed must be studied more in line with the requirements of the prefectures. It is easier to welcome those who already have a minimum of stability in Italy, are easier to manage. But the bureaucracy does not help”. In order to understand the phenomenon it is important to take into account the numbers it involves, which are often inflated by the press and politics. The data speaks clearly: "Last year we had 170 thousand landings in Italy, which have turned into 70 thousand asylum applications. These numbers are infinitesimal if we compare them with those of countries neighboring the conflict zones. Just think of Lebanon, for example, which has welcomed more than one million people with a population of about four million. As Jean Claude Juncker, European Commission President, said, migration represents 0.1% of the total European population. We can deal with it. " This belief is especially true for Italy, "I believe that our country is a welcoming nation. The race of solidarity that took place this summer between transiting centers of many cities shows how imbedded the idea of coming to peoples aid is in our nation. We are willing to open our arms. Certainly there are fears linked to the concept of what is 'different' and foreign, and there are fears that should not be underestimated but listened to and accompanied. It is crucial to foster an encounter, as well as personal knowledge. We must foster points of encounter ewlcome and explain the truth. We must inform these fears". The Astalli Centre has several projects with this purpose in mind: "In Rome we have four centers, which are part of the Sprar circuit linked to the Interior Ministry. The reception and integration project now involves around 150 people. Pope Francis’s first appeal was made right here at Astalli Centre, to open convents to those in need, gave way to a second phase which we call 'welcoming in semi-autonomy'. Using the availability of some centers and religious institutions, we started on this project. " Fr. Ripamonti believes this is the “missing link of the whole process: we have focused heavily on the first reception, a bit less on autonomy and integration. The goal is to accompany people who leave from Sprar centers towards a semi-real autonomy. Helping these people - who are not totally autonomous for various reasons, from renting, to their the lack of a job - to stand on their own two feet. The reality is that those who have a small job often can’t afford rent for the first six months or a year. With the help of religious communities we can help give them more time to save and shop around for a home or for a room for rent. This helps them to become more rooted within the territory and from there real integration occurs"
The projects of solidarity and welcome, despite the populist waves of some sections of the European Union, however, are not a lasting solution: "Addressing the issue of forced migration needs an overall view: Humanitarian aid is fruitless if nothing is done about the conflicts that determine the phenomenon. Otherwise we will always need to create emergency channels because we continue to ignore the complex cause of the problem. Action is needed on the wars: the conflict in Syria is left to itself, Europe it is disinterested, and a flood of people are now pouring into the continent in need of everything. " If we had intervened more decisively through diplomatic channels, concludes the priest, "we would have had different outcomes. Intervening in the conflict, create safe channels to combat human trafficking, ensuring better reception in Europe. This is the recipe for ending a crisis that affects us all, everyone". Pope: promote integration of migrant families, a "positive value"